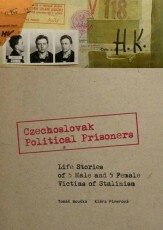 We proudly announce launch of our new book "Czechoslovak Political Prisoners". The book was published in English and it is distributed for free. This book introduces ten victims of Stalinism who survived their own death. Political persecution changed lives of individuals, families and perhaps whole generations in many countries. Here we deal with the 1950s in former Czechoslovakia. 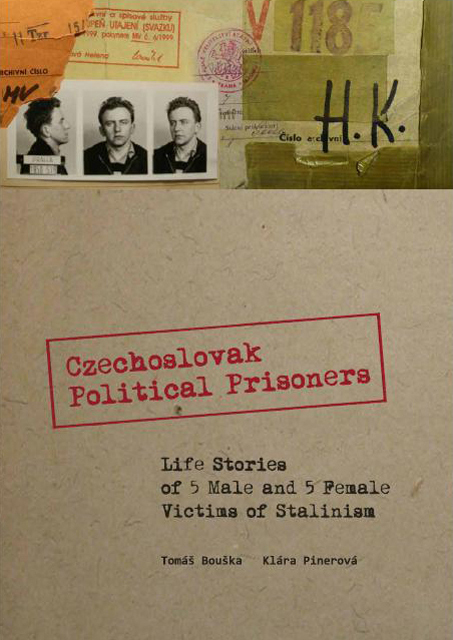 Young Czech authors, both doctoral candidates from Charles University in Prague, introduce five male and five female life stories of former political prisoners from their own country. These ten unique stories display not only the regime oppression, torture, show trials and forced labour in Stalinist prisons and uranium camps but also illustrate how active citizenship, patriotism and civil resistance of then youth were rewarded in the Soviet times. They show the everyday life behind the Iron Curtain where sudden captivity for ideological reasons was a daily bread. All the narratives were recorded in 2007 - 2008 using the method of oral history interview. Witnesses of past eighty years describe in them what they had gone through in an open and personal way. What and how are they telling us has one major aim: to share the secrets of those who were meant to be forgotten. However, as you can see upon glancing over the first copy, the Czech-English language barrier still proves a challenge. We will overcome this, given time. But for now, we are taking small steps and kindly ask you to tolerate the less comprehensive terms and phrases listed in this book.